How can you and your business be universally accessible on social media? Making your images, memes and other media accessible to everyone on social media is not only necessary for 508 compliance, it makes good business sense. First and foremost, it means you are allowing equal access to all – including those with visual and physical disabilities – which should be the main goal anyway. Secondly, social media is listed under Section 508 of the Rehabilitation Act, so following accessibility guidelines will help your company stay compliant – not to mention reaching a broader audience through the far-reaching platform of social media. Above all, it’s a great way for customers to be exposed to and engaged with your brand. And it’s also a great touch-point for customer service. You can make your photos accessible to screen readers by adding alt-text and captions. Be sure to include the people that are tagged, the location, and the details of what is seen in the photo. Twitter: You can enable this feature in Twitter by going to Settings and Privacy, entering the Accessibility menu and checking the Compose Image Descriptions box. The next time you tweet with an image, an Add Description button will be at the bottom. Hit that and you can add your alt-text, up to 420 characters. Facebook: Although Facebook provides a mechanism for automatically generated alt-text, each image wil generally need additional editing per post. To do this, select the picture you are adding to your post in your news feed, and click on the edit photo button on the image. A box will appear with multiple options. Out to the left will be alt-text. Select that to see your automatically generated alt-text. There is a tab below that will allow you to override the text given and add your own. Be sure to save your changes. Just like graphics and images utilized in social media, screen readers are unable to translate Memes and animated GIFs into text without additional information provided by the post author. Be sure to add a detailed description below the meme or GIF. Think about the point you are trying to get across. Screen readers are reading your content exactly as typed, literally. Use concise language. Don’t clog it up with hashtags, mentions, abbreviations, complicated acronyms or text-message language. When you include a hyperlink in a post, be sure to define the type of site or file you are linking, [AUDIO], [PIC], [VIDEO]. Use a URL shortener to minimize the characters in a link. Be sure your tool tip, the hover text of the hyperlink, is accurate and gives a good description of where you are leading the user. If your social media posts link to PDF documents, you need to consider this. Many companies need to produce PDF/UA statements, invoices, order acknowledgments, notices etc. You need PDF/UA for 508 compliance. Consider using DocOrigin to produce your high-volume interactive or batch PDF/UA documents. No matter what business software you use to run your business, DocOrigin can merge CSV, FRL, XML, txt or .dat data files into templates and produce PDF/UA. DocOrigin can automatically tag a large percentage of the template. However, most auto-tagging software is not accurate enough to meet the standard. DocOrigin provides extensive features to allow your team or partners – or our team – to make it perfect! Once designed in DocOrigin, you can automatically produce your production PDF/UA documents without human intervention! There are some great options out there to help you schedule and track your posts on your social sites. Many of these provide the ever useful url shorteners and analytics services but watch out because they don’t all help with accessibility. 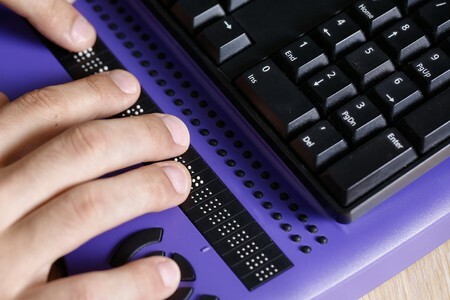 Be sure the service you are researching allows image descriptions or alt text in order to meet the needs of your audience with visual impairments. Be sure to read up on 508 Compliance and accessibility. We are working to be more accessible and one great resource we use is Braille Works and their Section 508 Compliance ebook.